Toyota is still the king. The Japanese firm held onto the title of world's top-selling automaker in 2015, as rival Volkswagen suffered from a sprawling emissions scandal. Toyota (TM) sold 10.15 million cars worldwide last year, the company said Wednesday. Volkswagen (VLKAF) earlier reported it delivered 9.93 million vehicles in 2015, a 2% decline from the previous year. Volkswagen briefly surged past Toyota in the second quarter, but enjoyed just three months as No.1 before stumbling. General Motors (GM) finished third in the global race once again with 9.8 million cars and trucks sold, up only 21,000 from its 2014 total. But it marked the third straight year that GM set a company record for sales. 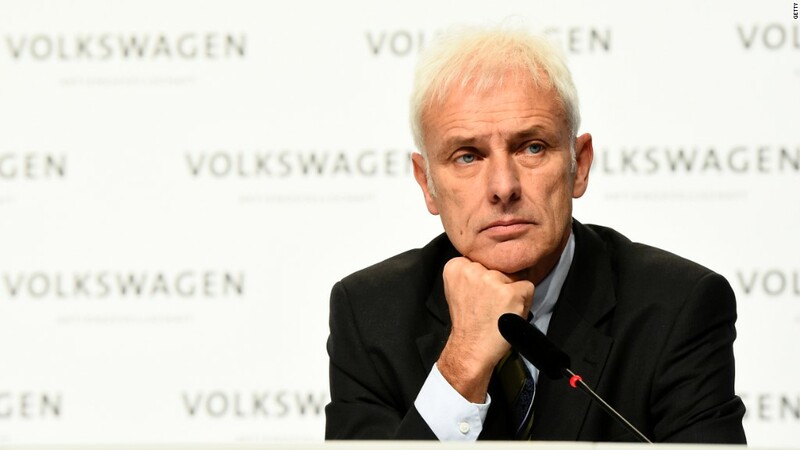 Automakers are being challenged by softening conditions in markets such as China and Russia, but Volkswagen had another problem altogether: the group was forced to stop selling diesel models in some markets after it was caught cheating emissions tests. About a third of the company's market value has been wiped out in the past six months. That means big losses for powerful shareholders such as the Porsche family, Qatar and the German state of Lower Saxony.